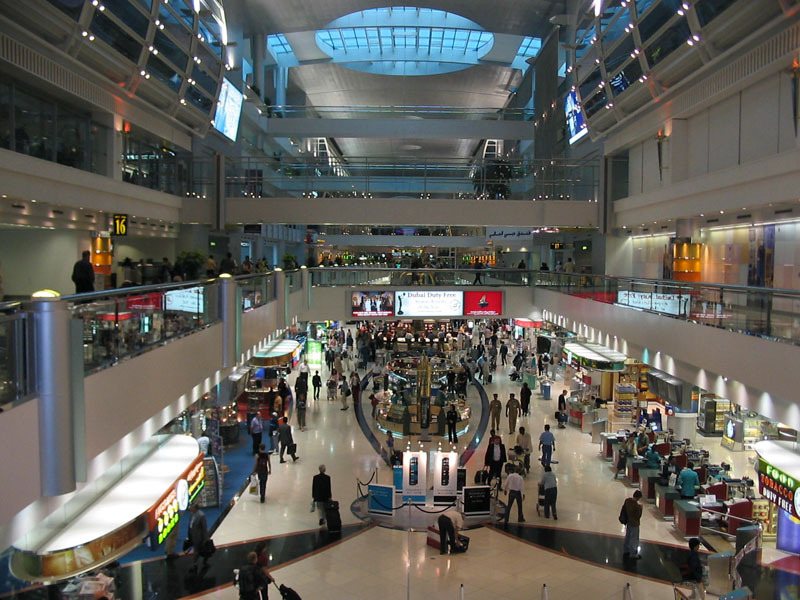 I arrived in Dubai at the crack of dawn after traveling from Washington DC via London. I hadn't gotten any sleep of the flight but I still had the energy to spend the day touring around and seeing the sights of this modern Arabian city. 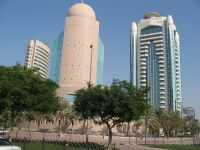 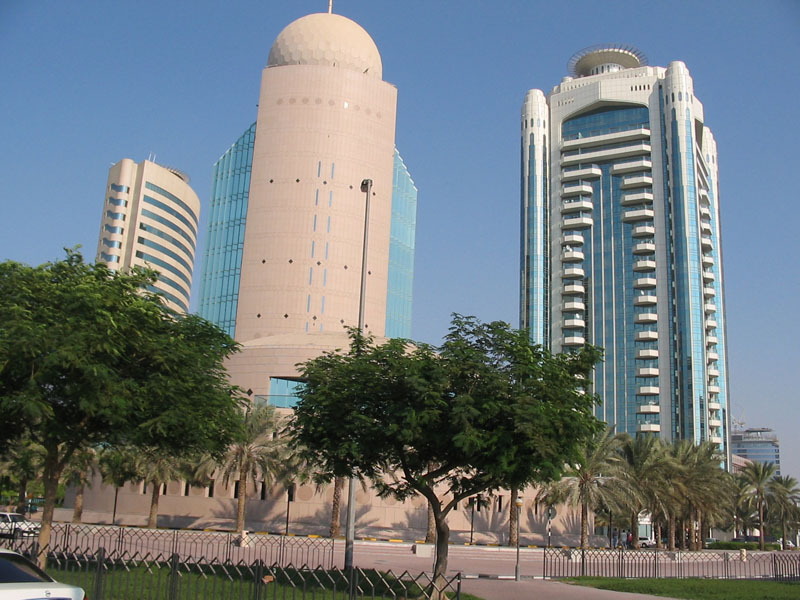 Dubai is famous for its Nouveau Arab architecture. Dubai Creek is the central nervous system of the city, an inlet dividing the old city's commercial district and its residential district. 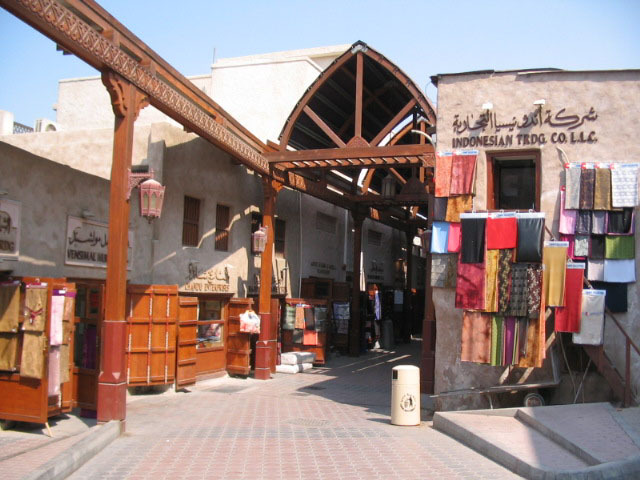 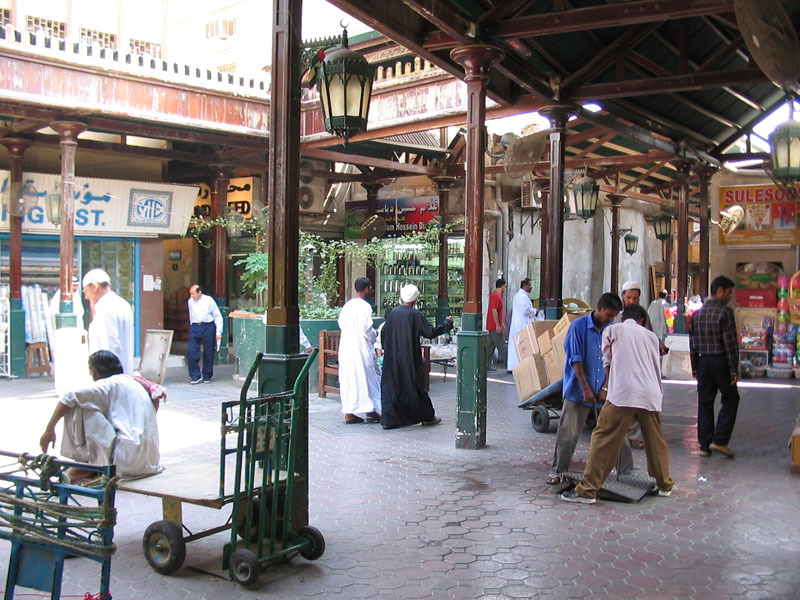 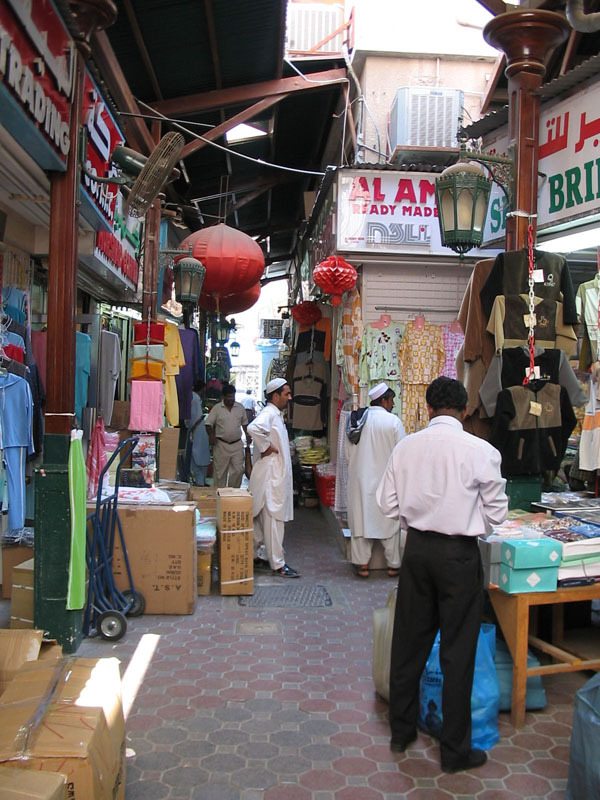 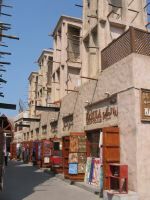 Typical street scene in Dubai's Deira district. 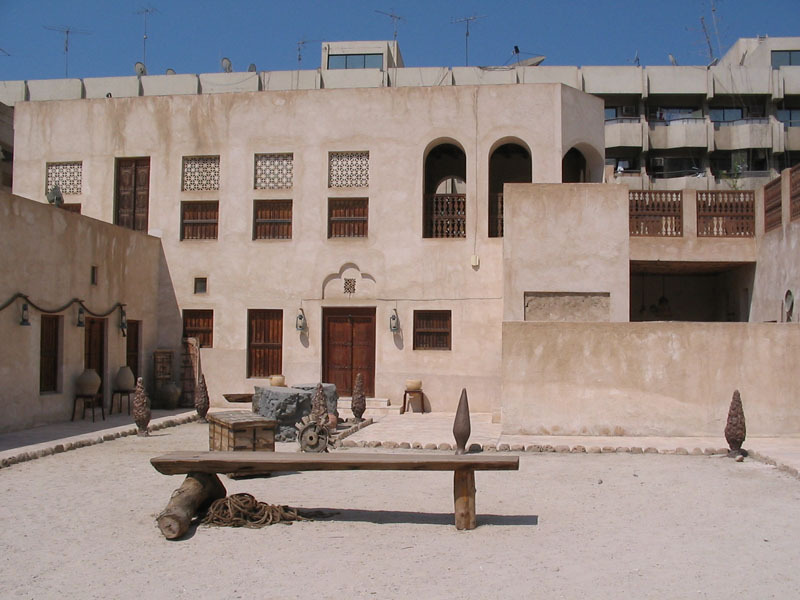 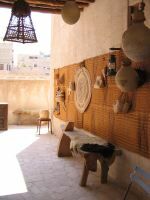 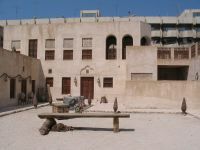 The courtyard of the Dubai Heritage House, a museum set up to recreate a home from the turn of the last century. 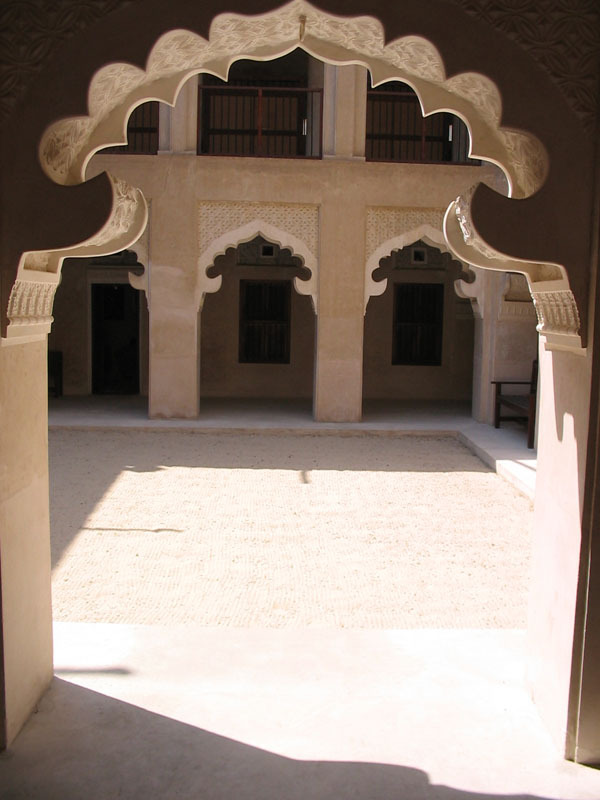 Entrance to the Heritage House. 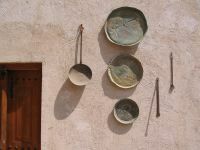 Kitchen implements decorate the walls of Heritage House. 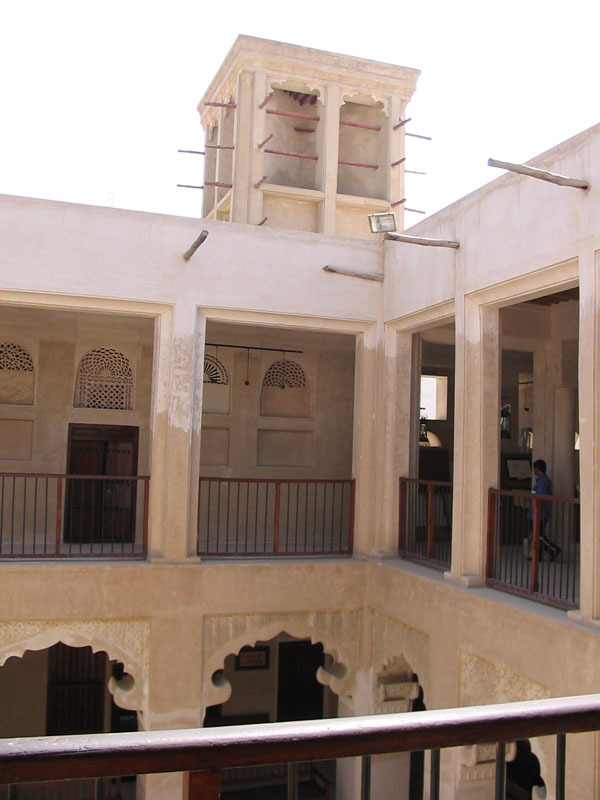 The doorway to the al-Ahmadiya school, a museum dedicated to Dubai's first modern school. 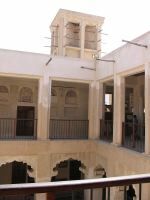 The school's wind tower, which helps circulate air in the floors below. 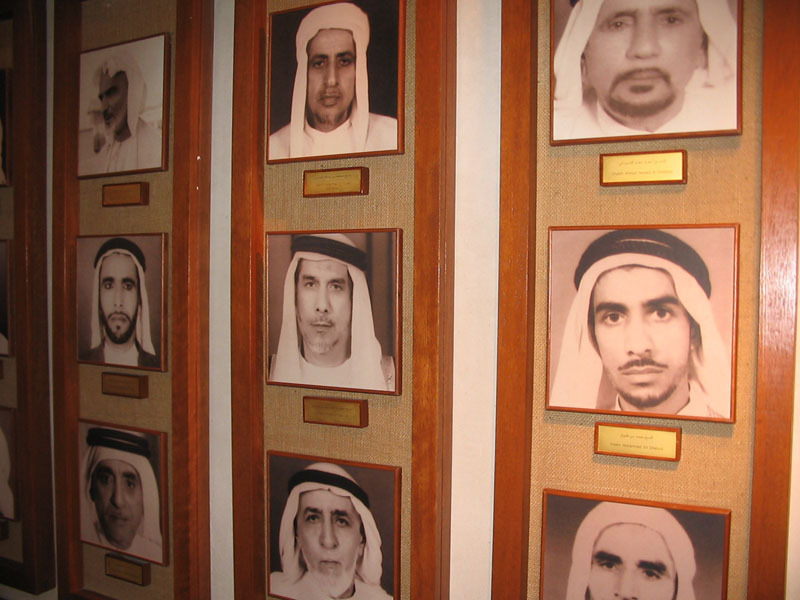 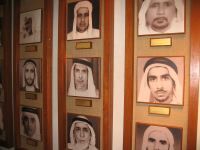 Photos of some of the many sheikhs who studied at the Al Ahmadiya school. 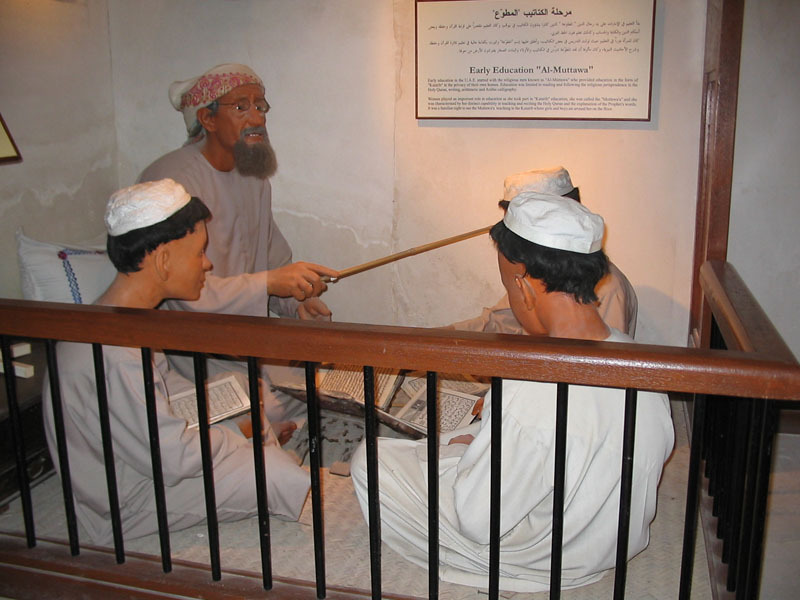 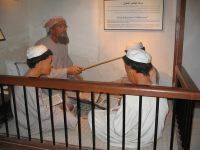 A display inside the school. 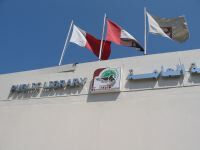 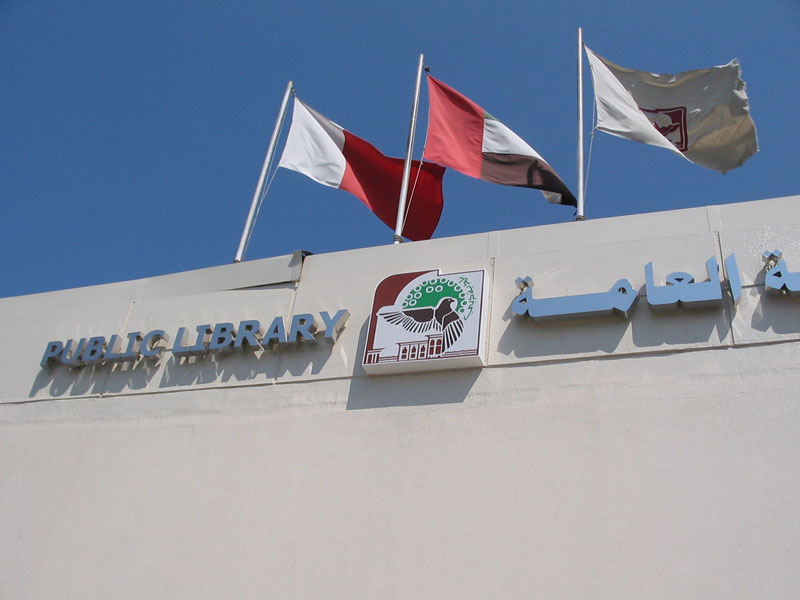 The entrance to the Dubai Public Library, which I visited for a cheap place to get Internet access. 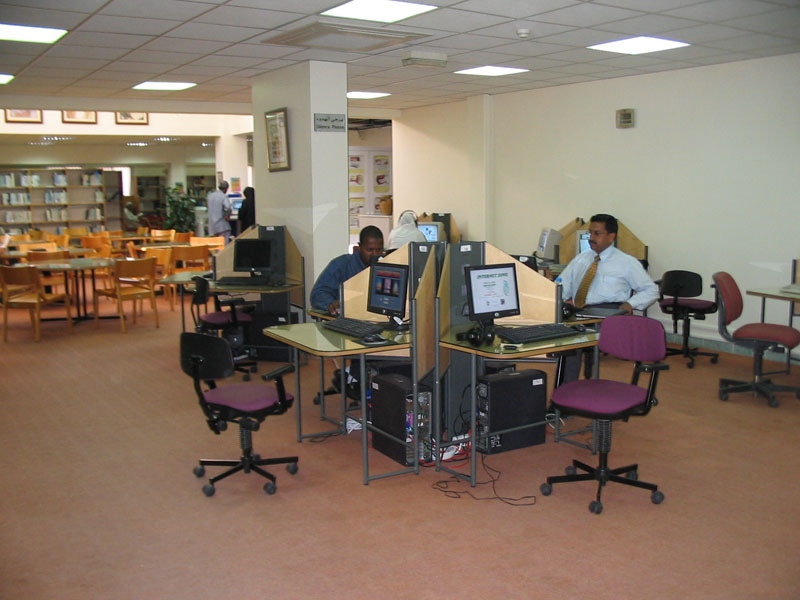 Dubai library's Internet lab, which charges about five dirhams an hour - less than two dollars. 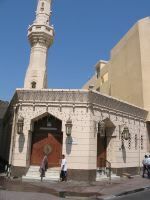 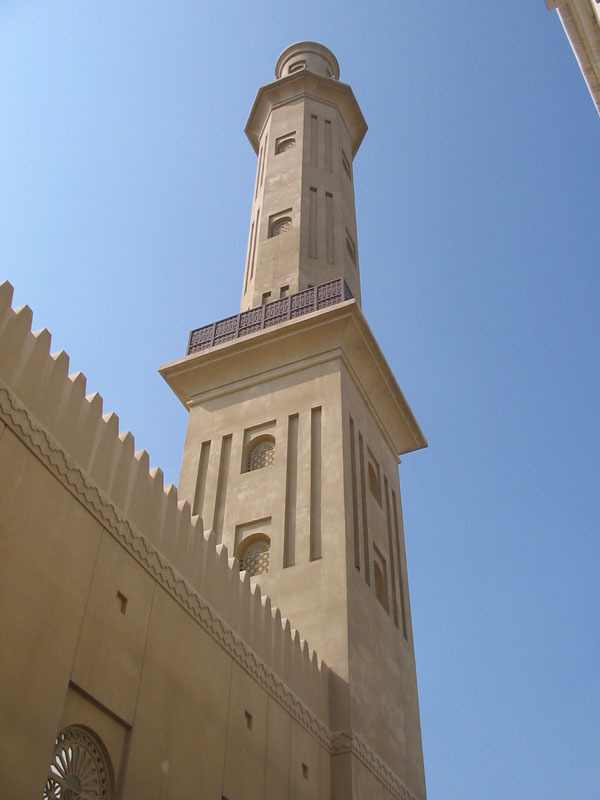 One of the many local mosques in Dubai's Deira commercial district. 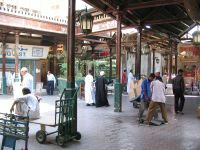 One of Dubai's many markets (souks) during a lull in the afternoon. 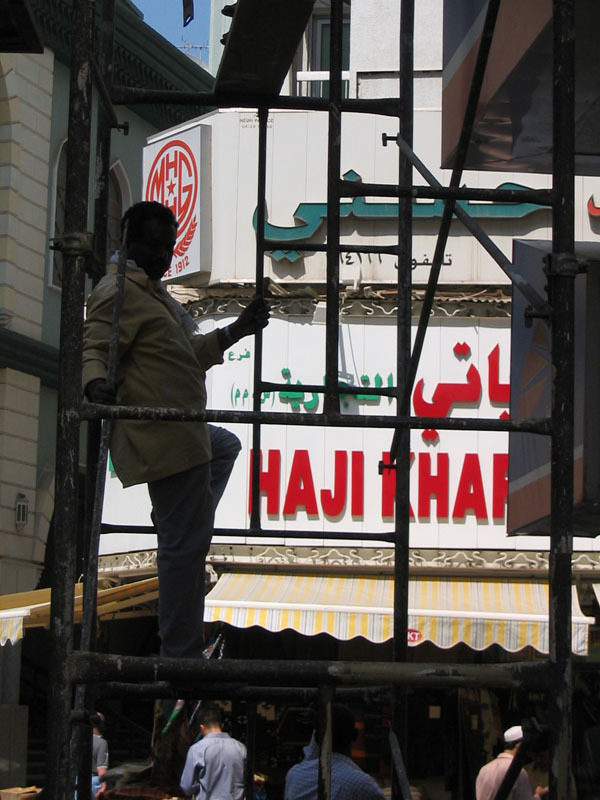 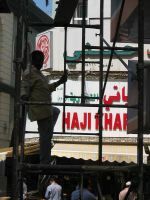 Worker climbs scaffolding outside the Gold Souk. 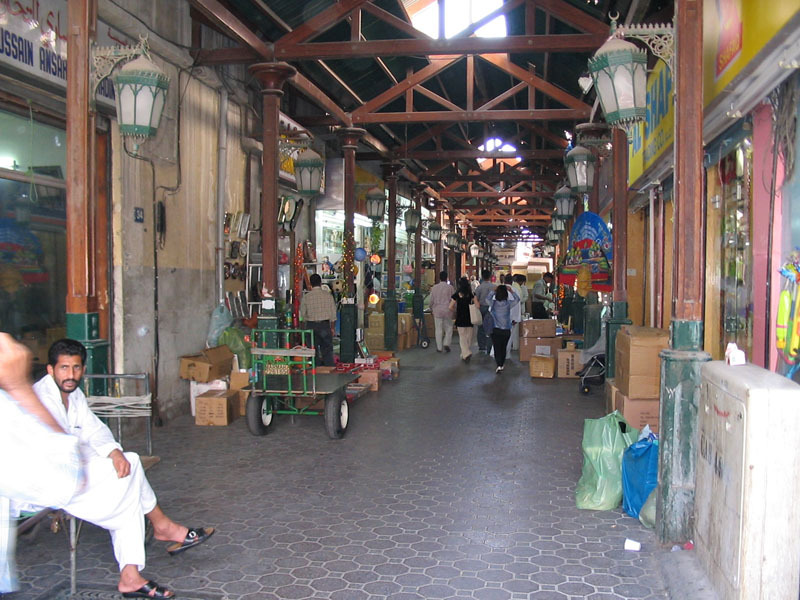 Afternoon activity at the Deira souk. 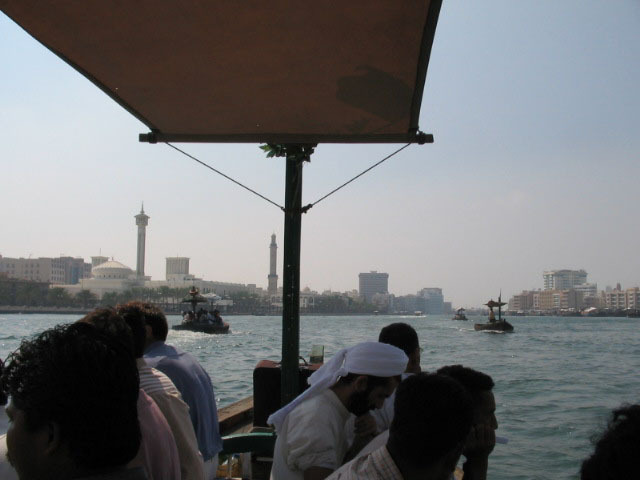 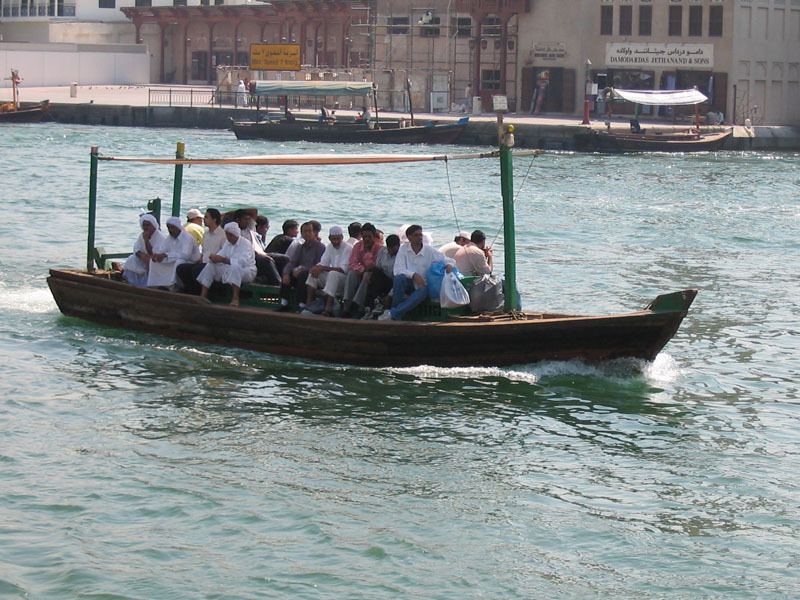 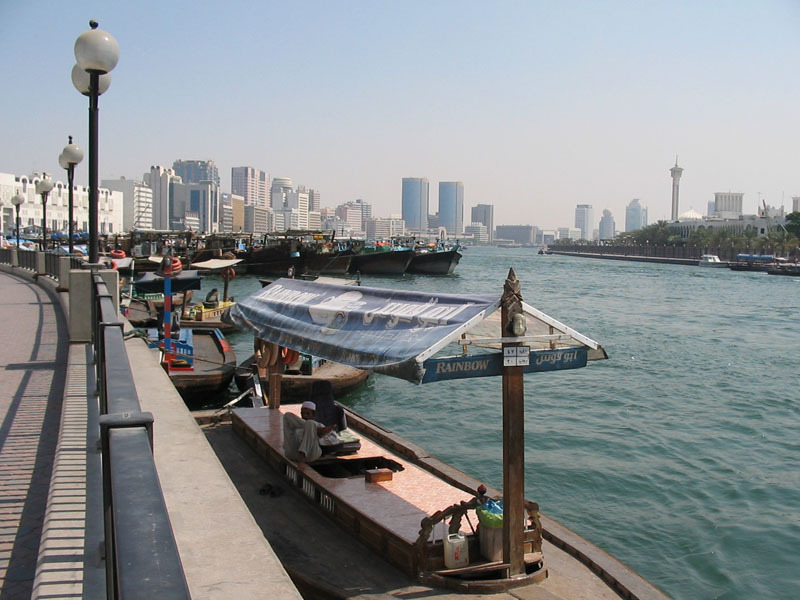 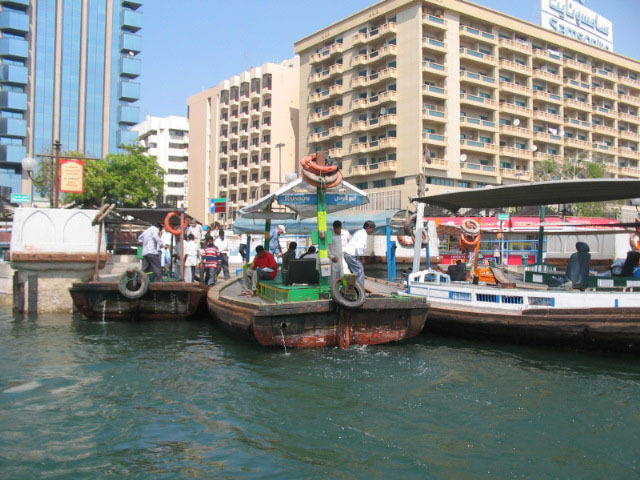 A crowded water taxi makes its way across the Creek to Bur Dubai. 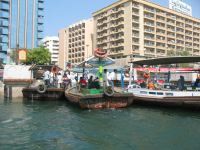 Water taxis along the Deira side of the Creek. 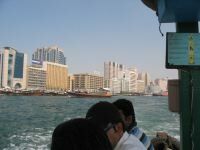 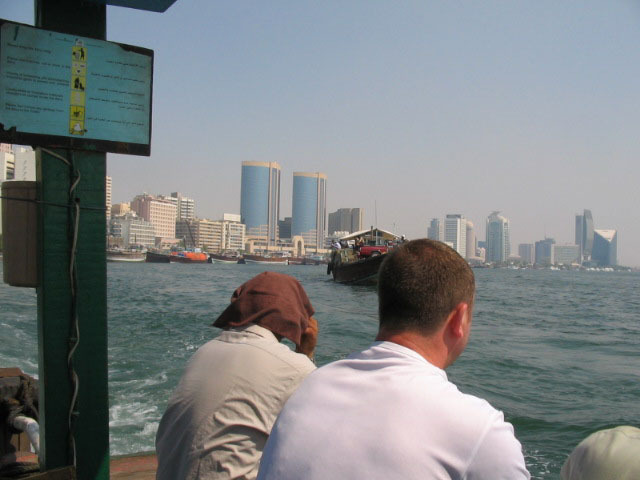 View of Deira from a water taxi. 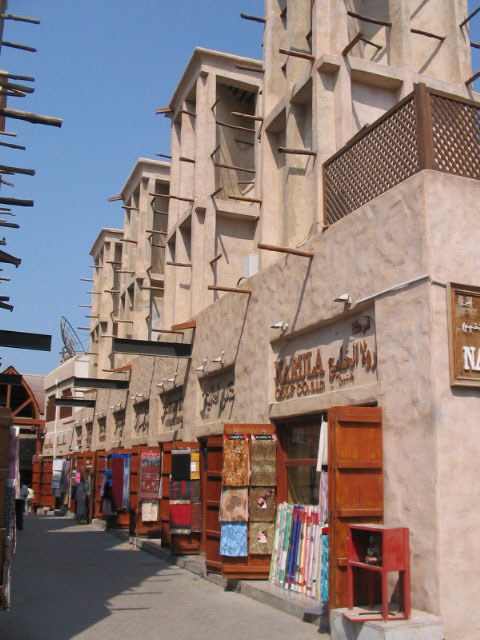 Many of the wind towers along the Bur Dubai souk have been recently renovated. 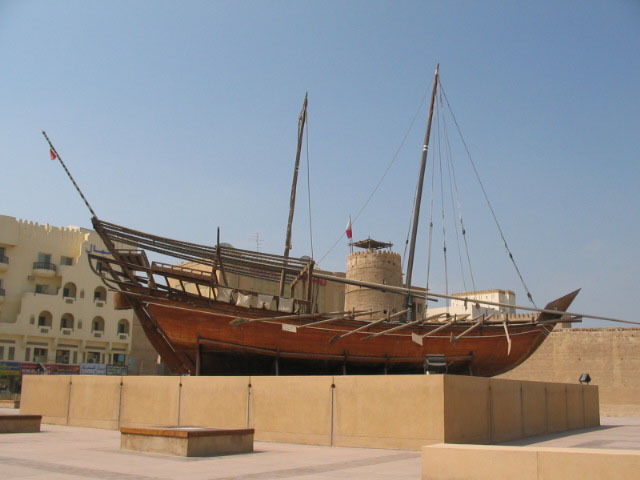 An old dhow sits in front of Dubai Museum. A recently renovated market on the Bur Dubai side of Dubai Creek. A minaret looms above Bur Dubai. 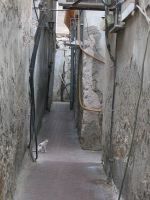 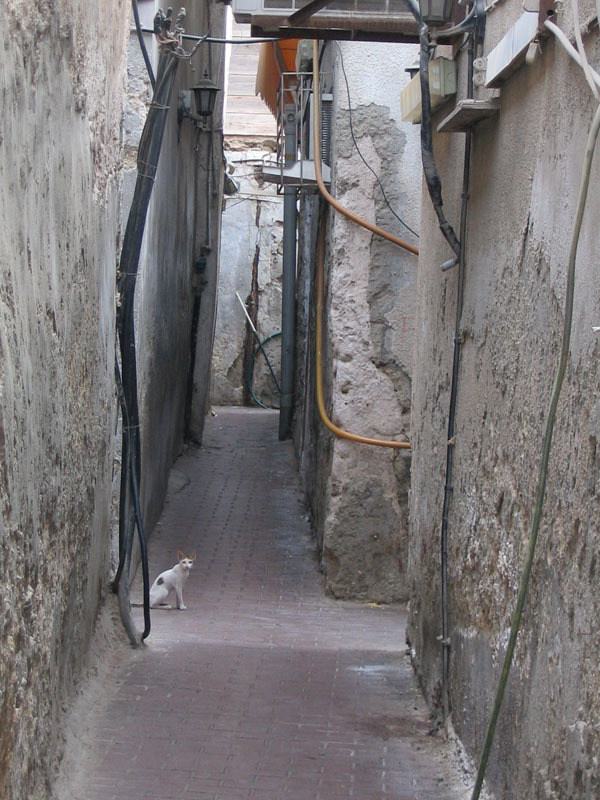 A cat wanders the alleys of Dubai's Bastakia quarter. Dubai's ultra-modern airport, with its world famous duty free shopping. 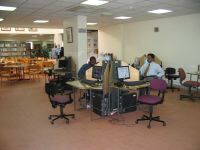 Copyright 2003-present by Andy Carvin. 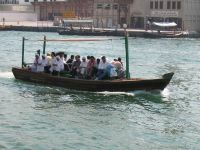 Photos may not be reprinted without permission. All rights reserved.